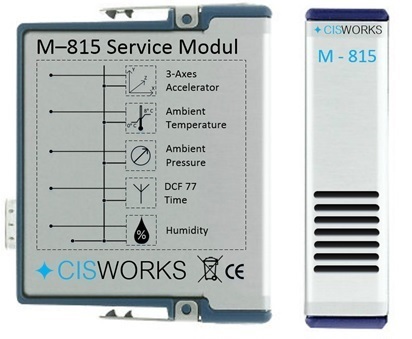 The M-815 module is used to protect a cRIO and provide important environmental parameters. The module measures temperature, air pressure, humidity and acceleration. And, reception of the DCF77 time signal ensures that a system without a network connection can keep correct time.